How is Christian Faith doing around the world? Hi, everyone. 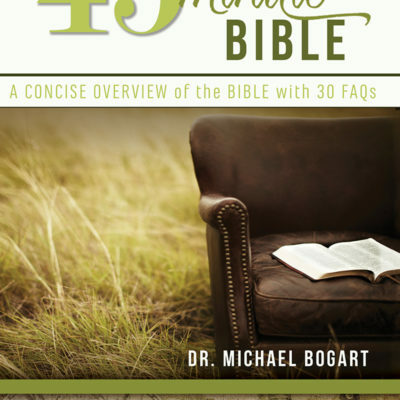 This is Michael Bogart reporting on the State of the Gospel. 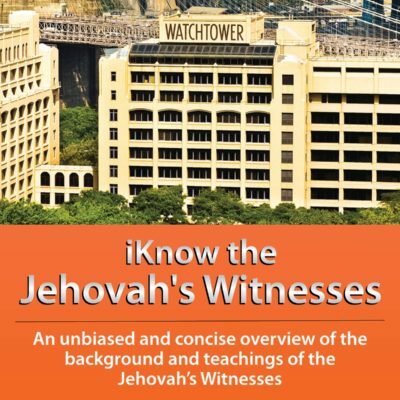 During September and October, 2018, This blog accompanies my video series on YouTube called: The State of the Gospel https://youtu.be/vweRTPgJnTE. In this Aspect Ministries video series, I report on how the gospel and the Christian Faith are progressing in different parts of the world. 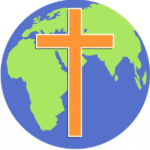 The first video in the series is subtitled: The Big Picture of Christianity Around the World. In it, I paint the big picture of how the good news about Jesus and the spread of Christian faith are doing on a global basis. The series will focus on a number of areas and groups of people in the world. For example, the second video will look at how Christianity began and how the gospel spread around the world over the past 2,000 years. In other videos, I will focus in more depth on Asia, Africa, North America, Latin America, Western Europe, and Eastern Europe. I will also show the state of the gospel in areas of the world with a Muslim majority, and explore how it is doing with the Millennial Generation. I hope you will look at this series that give a broad picture of where Christian faith stands in the world.. Each of the episodes is only around 6 minutes in length. 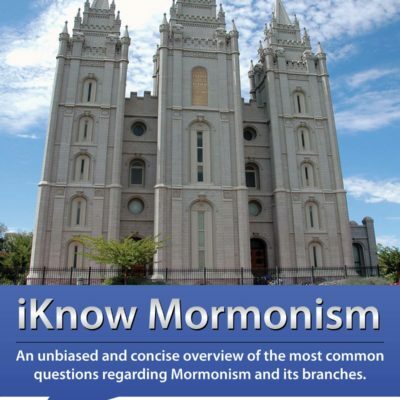 What is Christianity and the Gospel? This blog article is a summary of the first episode. As I begin, let’s be clear about what I mean by the gospel and Christianity. The gospel is the good news that God is eager to embrace anyone who wants to find him. People are not naturally close to God. Most honest people will admit that. But Jesus opened the way for us to find our way back to God, our Creator. When we put our trust and faith in Jesus, all our darkness and futility and shame and wrongdoing are washed away, and God becomes our father as well. That is the good news—the gospel in its simplest form. Christianity is the movement of people who have embraced the good news, who spread the gospel, and who live out the good news in their lives. Wherever they exist, Christians form churches and other informal groups for mutual support, coordinated ministry among themselves, and outreach to others with the good news. In general, Christianity is increasing its influence in the following regions. The gospel is spreading rapidly in many parts of Asia, such as the Philippines, South Korea, and China. It is growing more slowly in Japan, India and Southeast Asia. Christianity is also growing at a rapid rate throughout sub-Saharan Africa—that’s the part of Africa below the Muslim countries on the north edge of the continent. Latin America is experiencing rapid growth in places like Guatemala and throughout Central America, as well as in Brazil. Other Latin American and Caribbean countries are seeing slower, but still significant growth. Mexico is a good example. Eastern Europe has seen steady expansion of Christianity all through the later decades of the 20th century and into the 21st century. 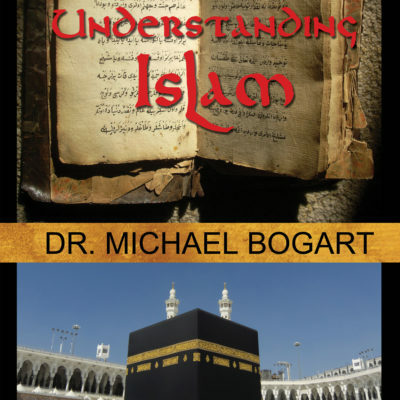 Something most people don’t know is that the good news is beginning to have significant impact in certain parts of the Muslim world. I can’t go into detail about this for a number of reasons, but I will discuss this trend a bit more in a future video. Now for the downside. 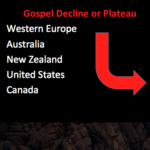 Overall, the gospel is either in decline or has plateaued in Western Europe, as well as in Australia and New Zealand. These regions have seen a steady decline in Christian influence since World War II. Beginning in the 1960s, the United States and Canada both experienced a leveling off in Christian influence, and then Christian faith began a slow decline in the 1980s until today. For example, in the United States between 2007 and 2014, those who self-identified as Christians decreased by 7% points of the overall population. 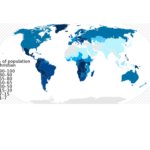 Below is a map showing the global distribution of Christians in the year 2000. This map shows darkest blue where there are more people who self-identify as Christians, and decreases to lighter blues down to grey to show less and less influence. . I love this map because it gives a visual idea of where the gospel is least known. 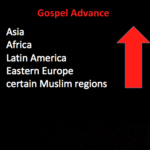 The area of least gospel influence is often called the 10/40 window. It runs across the top of Africa through the Middle East and Central Asia. The map really makes it clear. What should we make of all this? Well, here is what is obvious to me: I think that in the 21st century, Christians have two main challenges. First we must assist our fellow Christians in places where the gospel is already spreading. A prime way to do that is through leadership training—my specialty. These areas are doing fine in spreading the good news. They tend to lack solid, biblically trained leadership. Second, we have got to make a vast improvement in how we communicate the good news in places where it is in decline. In other words, to people who think that the gospel is irrelevant or even bad news, we have got to show that the good news really is—good news. Non-religious, materialistic Europeans, North Americans and others, with a special emphasis on reaching the Millennial Generation. These groups live in in what was once the Christian heartland. But the gospel in weakening in these areas, so it should be a no brainer that we need to rethink what we are doing in these areas. I mentioned that Muslims in all their varieties are showing an interest in the good news–really for the first time in history. It would seem that with this new opportunity, we should make communicating good news a priority among Muslims.